World Cup DH action is here! - Norco's Prototype DH Bike - Joe Smith is ripping it! - Greg Minnaar's Santa Cruz V10 29er - The controversy machine. - Brendan Fairclough's Scott Gamber - SO HOT! 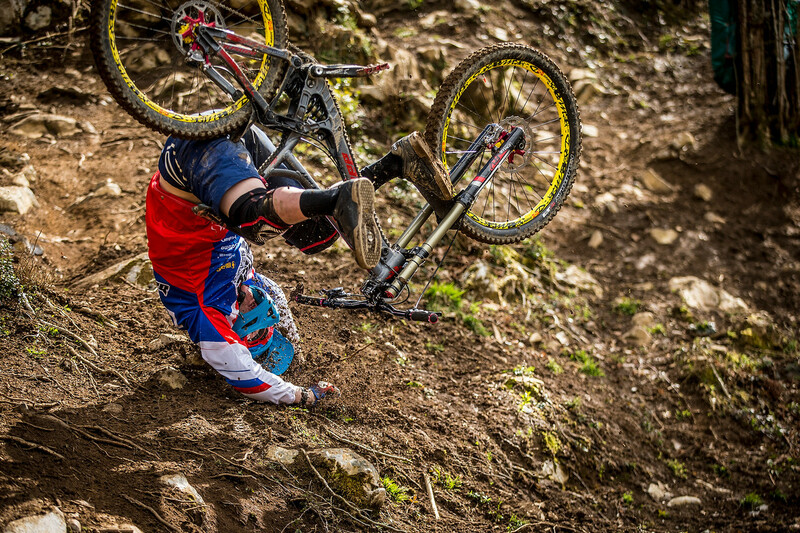 - Loic Bruni's Specialized Demo - and some opinon on 29ers to boot. - Manon Carpenter's Radon Swoop - Swoop, there it is! - VITAL RAW - Qualifying Practice Action - So. Fast. - VITAL RAW DAY 1 - OH MY! - SUPER SICK SLOWMO! - Gettin' buck wild! - Brendog Helmet Cam - PINNED! - RACE DAY SLIDESHOW - all-time spirits in spite of the rain. - SLIDESHOW - Qualifying action! - Roskopp wins this round. - THE GREATEST SHOW ON EARTH - and that's not hyperbole. - 19 Knob-folding Corner Photos - Dear tires, we're sorry. - 20 Wicked Whip Photos - Horizontal hucking. - Timed Training Action Photo Gallery - Top riders in action. - SLIDESHOW - Track Walk - It's officially on! - FINAL RESULTS - mother nature made the call. - Should There be a 29er and 27.5 DH class at World Cups? - we're bored. where's the race action? We'll update this forum post with links, pics and vids too, so you can stay on top of the goods. U.S DH riders registered to race Lourdes as per the official start list - GO GET 'EM! If you see cool videos, social media posts or photos, add them here, too! and there it is! thanks for the find!! You stilll have time to log your predictions on www.mtbfantasyleague.com !!! Are quali results already out? I was wondering if vitalmtb has a fantasy contest this year? not this year unfortunately. with Vital OTB, cheating was becoming an issue (no cheater ever won, but more and more were trying) and world-wide prize shipping was just a bit too much to deal with. Sad to hear. But at least i can console myself with the whole coverage of the event. (VitalRaw, bike checks: the best!!). Trek using a wide flanged/short cassette body, centerlock DH hub, spotted in the Dave Trumpore slideshow on PB. It's been a long time since there has been a Saint revision, could this be a new Shimano hub? qualifying slideshow is up. LOL slide #3 w/ roskopp. 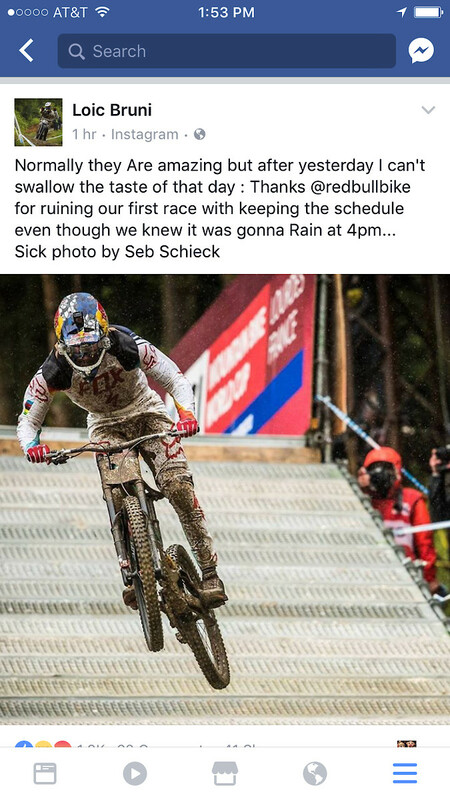 Looks like he edited redbull bike out of his original post. 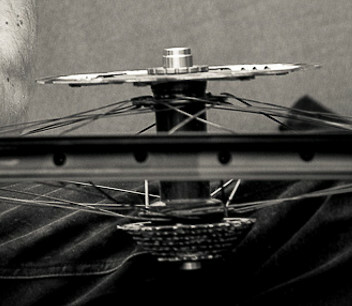 The MTB gods speakith: "All ye commoners take note of thy large wheels of royalty and prepare yourself for Ft Williams. I give you 5 weeks time"
PS: Only 7 rounds and no throw-aways. Something needs to be done about that. Nico Vouilloz and Fabien Barel discuss 29ers in the World Cup.